There are many opportunities to make a difference at the University Library for our PSU students and faculty. Learn more about the ways you can impact student success and faculty research at the Portland State University Library. The Library Fund addresses the current and critical needs of the library and helps us maintain our role as the center of an engaged urban campus. These funds also give us the flexibility to support new initiatives that align with our goal: to be an outstanding library that constantly adapts, rethinks, innovates, and looks to the future. We listen to our students and faculty throughout the year, and support the areas of greatest need—from technology initiatives to space improvements, to creating comprehensive research collections. A gift to the Library Fund is one of the most significant ways to contribute to tomorrow’s great leaders, thinkers, and innovators. 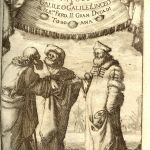 Special Collections is home to over 5,500 rare, unique or historically significant items dating from the 10th century to the present and encompassing a broad range of formats including books, journals, manuscripts, papers and records, photographs, maps, comic books, audio-visual material, realia and ephemera. Special Collections is a rich and rewarding resource for students, faculty and the community. All are encouraged to consult with library staff to identify how Special Collections might enhance creative and scholarly work. Gifts to Special Collections at the Portland State Library support the acquisition, processing and preservation of rare and unique materials. 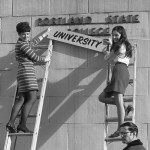 From its tumultuous beginning as the Vanport Extension Center in 1946 through its rise to the vibrant urban university of today, Portland State’s unique and exciting history is collected and preserved by the University Archives. A rich resource for students, faculty, staff and the community, the archives includes documents, correspondence, publications, program materials, photographs, moving images and ephemera from administrative departments, academic units, student organizations, and faculty and staff. 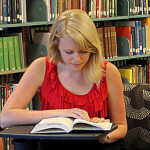 Direct Gifts have an immediate impact on PSU Library. Call Library Development at (503) 725-4616 to use your credit card, give cash, or get details on how to make a direct gift (checks can be made payable to PSU Foundation). Matching Gifts double or triple impact. Some companies match gifts by employees, retirees or spouses. Does My Employer Match? — Find out if your employer will match your gift. 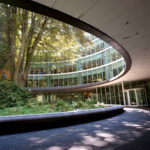 The Portland State Library has placed the highest priority on building research collections that support the mission of the University and the growing needs of the academic units. 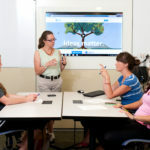 Research collections are critical to the learning experience of our students and the scholarly research of our faculty. Access to first-rate research materials allows the university to attract top-level faculty and support student learning. 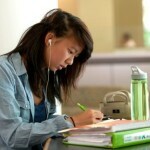 Help us reduce the costs of textbooks and course materials for our students. The Library has taken a campus leadership role in looking for ways to make course materials costs more affordable. A gift to the Open Textbooks & Course Materials Fund supports the creation and use of open textbooks and course materials—textbooks and course materials that can be freely used by students without any individual cost to them. Take a look at the Library published PSU faculty-authored open access textbooks. 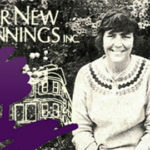 Social innovator and activist Carole Pope changed the lives of 3,500 women and children through Our New Beginnings, a Portland-based residential and outreach program she created and ran for women offenders from 1980 to 1992. The objective of this project is to complete at least twenty in-depth interviews with the individuals directly impacted by the work of Carole Pope and Our New Beginnings. Thanks to donor generosity, we have begun our initial interviews. With your help, we can fulfill our goal to create a unique and powerful resource for all those inspired to build upon Carole’s legacy of support for incarcerated women and their families. Gifts to the Millar Library Endowment Fund help us to build an endowed fund for continuing support for the Library. Your gift continues to grow the endowment for the future, while annual revenue from the fund is used to enhance all areas of the Library. A gift to the Millar Library Endowment Fund creates a bright future for the Library, while also enhancing the Library’s ability to make a difference today for our PSU students and faculty. The Library welcomes prearranged gifts of material that support the instructional and research programs of the University. If you would like to make a donation of materials to the Library, please discuss your donation with the appropriate subject librarian (not all materials are accepted). In recognition of each $100 gift, the University Library will place a commemorative bookplate in a newly purchased book in the subject area of your choosing. The bookplate will bear the name of the donor and the person in whose honor the gift is being made. For generations to come, each time the book is used, your honoree will be recognized, and your gift will be appreciated. Please visit Portland State University Planned Giving for more information about making a planned gift or bequest to Portland State University. Real Estate, either in its entirety or in part, can be deeded to The PSU Foundation to benefit the Library. It is possible to arrange a sizable tax deduction by deeding a home to the Library, while continuing to occupy the property for life. 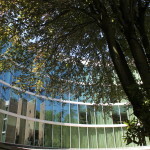 Bequests can be made in a written will or living trust; donors can specify that they would like their estate to benefit the Portland State Library. Charitable Gift Annuities offer donors immediate tax benefits, and ultimately the Library receives the trust property. Donors may transfer money, securities, or real estate in trust to the Library and receive income for themselves or another, for life. 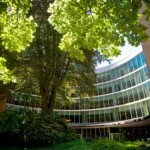 Qualified Retirement Plans can support PSU Library. Naming The PSU Foundation as a beneficiary of a qualified retirement plan (IRA, KEOGH, 401(k) or 403(b)) may be particularly advantageous to donors; doing so may result in more assets being passed on to heirs than if the donor makes a bequest from other funds in the estate. Securities are tax deductible for the full market value. 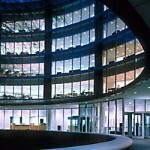 In most cases, appreciation in the value of the securities benefits the Library and is not taxable to the donor.